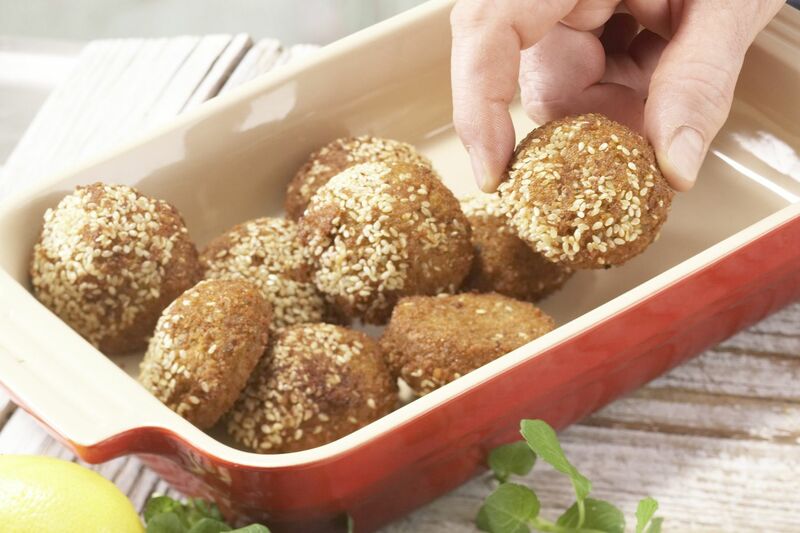 Place the falafels in a baking tray and cook in the oven according to the pack instructions. 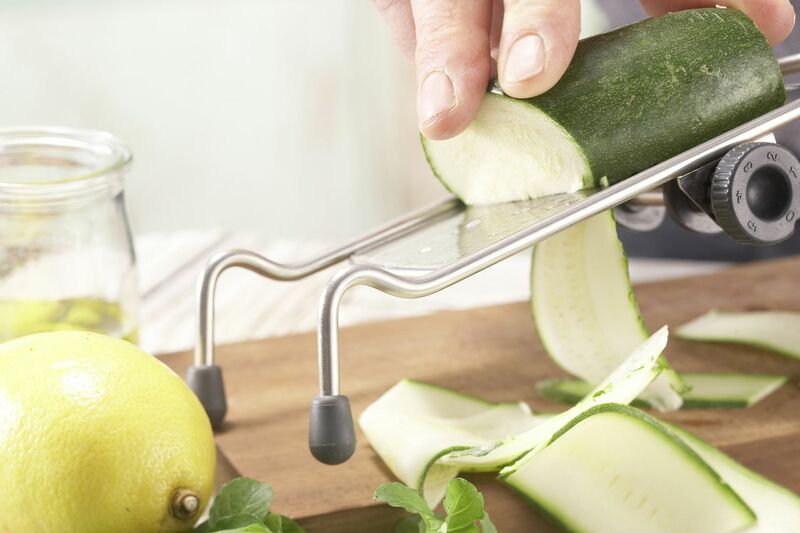 Meanwhile, wash the zucchinis and cut lengthways into thin slices. 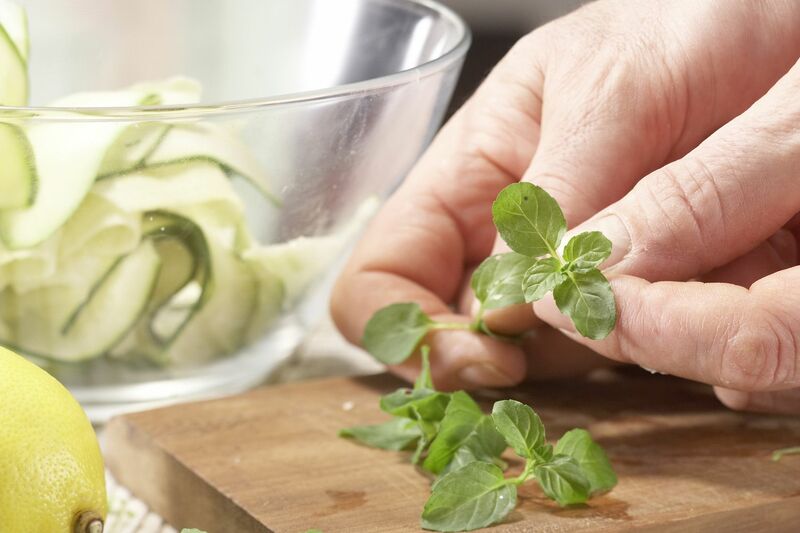 Wash the mint, shake dry and roughly chop the leaves. Place them in a bowl with the zucchini strips. Halve the lemon and squeeze the juice. 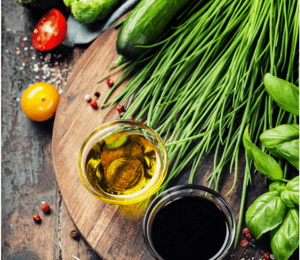 Mix with the honey, salt, pepper and oil and pour over the zucchinis. 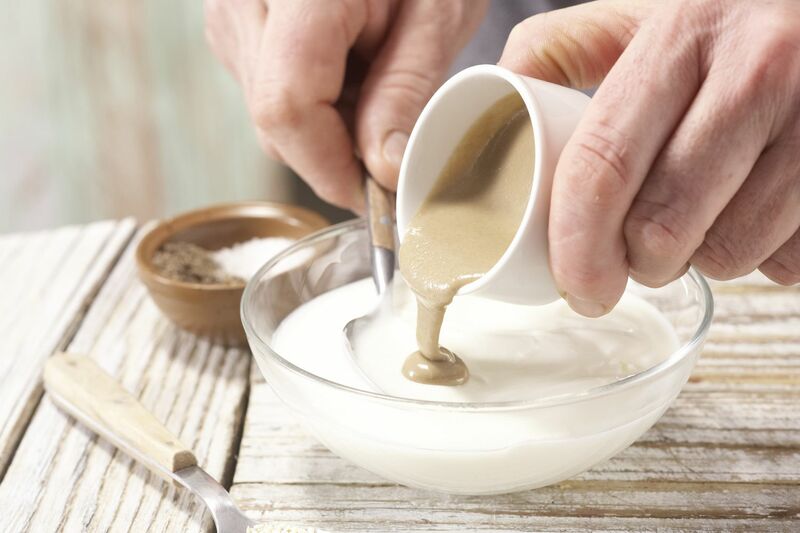 Mix the yogurt with the tahini paste and season with cardamom and salt. 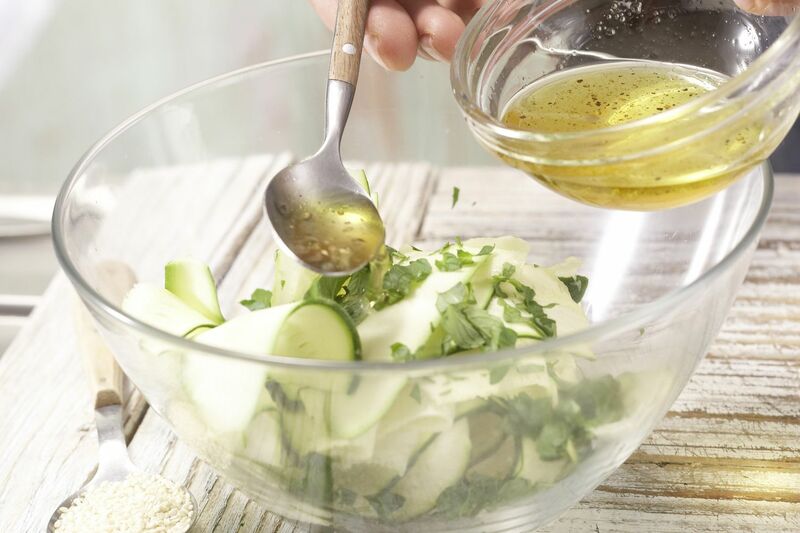 Sprinkle with sesame and serve with the falafel and zucchini salad.